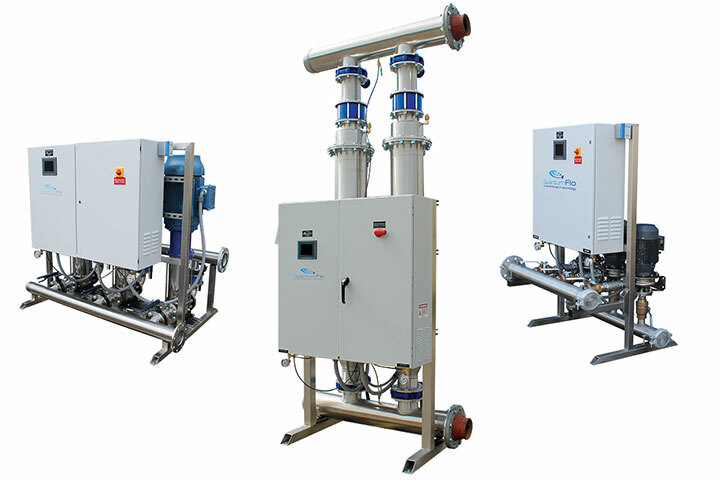 QuantumFlo - BBC Pump and Equipment Company, Inc.
QuantumFlo designs, builds and programs some of the most efficient and technologically advanced pumping systems available on the market. Nothing speaks "green" like iQFlo™ 2.0: QuantumFlo's intelligent software which optimizes pump operation and adjusts operation and output in milliseconds! Created to address challenges associated with variable speed domestic water pressure booster control, our progressive technology ensures that your pump or pumps will constantly test the demand to save energy, cycle properly and shut-off when not needed. iQFlo™ 2.0 comes standard in all of our commercial pump appliances and offers the intelligence and reliability you can’t find anywhere else.